The demand for the progeny of Waikato Stud’s super sire Savabeel continued on the third day at Karaka. Top of his list was the son of Suavito, who went to Te Akau’s David Ellis for $775,000. The purchase completed his stallion syndicate, which also includes yesterday’s $1.4 million sale-topper. “The colts’ syndicate is full now. I just hope we can win Group 1 races in New Zealand and Australia and then stand them at stud somewhere,” Ellis said. The final member of the syndicate is the first foal of the Gr. 1 Futurity Stakes and Gr.1 C F Orr Stakes winner Suavito. “The mare was really top class and it’s nice to have one out of her in the stable,” Ellis said. “I knew he would be an expensive horse and he’s a precocious Savabeel. He’ll probably be the first of the syndicate to race. “He could be an ideal horse for the NZ$1 million race at Ellerslie and then possibly take him over for the Sires’ Produce and Champagne Stakes at Randwick. Earlier in the day, a Savabeel filly that realised $525,000 was snapped up by successful owners Ger Beemsterboer and Chris and Sarah Green, who race under the Barneswood Farm banner. An opening bid of $400,000 emphasised the interest in the filly and she was subsequently knocked down to their trainer Peter Williams. “There was some stiff competition for her and we’re happy to get her,” Sarah Green said. “We had a bit more in reserve so it was very good. The Savabeel filly is out of the unraced O’Reilly mare Rush, a sister to the Gr.3 Thoroughbred Club Stakes winner Splashing Out. She has been an excellent producer and is the mother of the Group 2 winners Splurge and Shopaholic. Rush is also a three-quarter sister to Savabeel’s associate sire and multiple Group One winner Sacred Falls. Agent Stuart Hale went to $500,000 for a Savabeel colt who has been handed impressive pedigree updates pre-sale from Hong Kong. He is a half-brother to Regency Legend who is unbeaten in three starts in Hong Kong for Danny Shum. He raced in New Zealand as Espumoso and won twice and was stakes-placed from the stable of Murray Baker and Andrew Forsman. The dam is the O’Reilly mare Sparkling, who was unraced and is a sister to the dam if the Group One winners Diademe and Embellish. Sacred Falls has enjoyed a strong sale and prominent owner David Archer wasn’t to be denied a well-related colt. 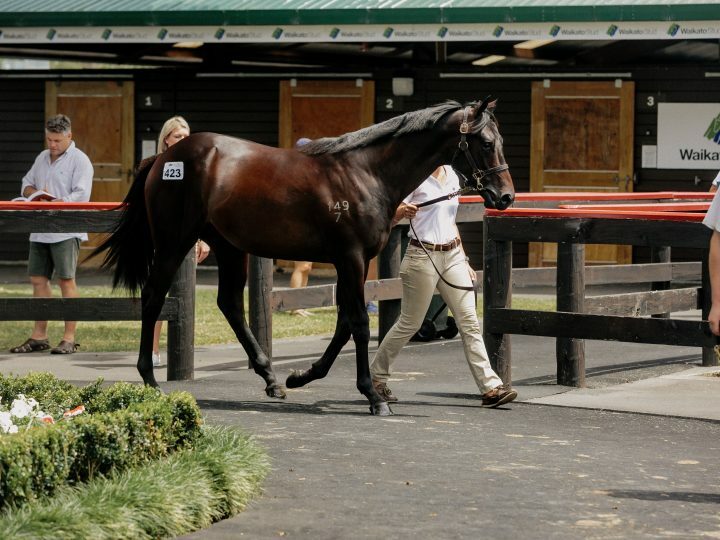 Archer was forced to go to $380,000 – the highest price ever paid for a Sacred Falls yearling. The colt is out of Savabeel’s daughter Savodara, who is a three-quarter sister to the dual Group Three winner Bhandara. Savodara is also a half-sister to the Gr.1 Avondale Gold Cup winner Sharvasti and the Gr.3 Hawke’s Bay Guineas winner Shastri. Victoria’s Cape Shanck Stud is also a paid-up member of the Sacred Falls fan club. 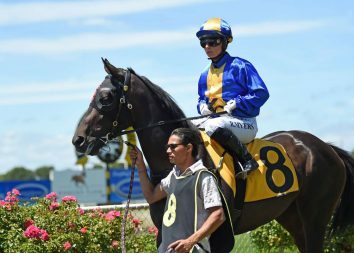 They went to $220,000 for a daughter of the Savabeel mare Queen Sabeel, winner of the Listed Northland Breeders’ Stakes. She has left a couple of winners including the black type performer Sagunto. Late in the sale, Waikato Stud’s Per Incanto filly from Virginia sold to the Balia Family Trust for $255,000. She is out of a sister to the multiple Group One winner and sire Alamosa and closely related to the Gr.1 Diamond Stakes winner Dal Cielo. For the sale, Savabeel is averaging $297,179 after 39 lots sold with five yearlings breaking the $500,000 mark. Sacred Falls is averaging $111,212 after 33 lots sold; Ocean Park $86,428 (21) and Pins $163,750 (12). 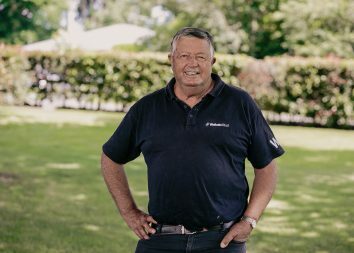 Waikato Stud has grossed $13,045,000 with an average price after 58 lots sold of $229, 561.